This wallbowl is absolutely huge, measuring 25" in diameter. That's over 2 feet wide! 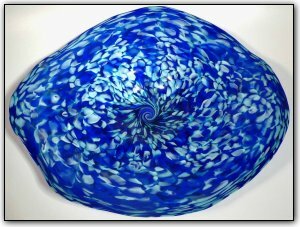 Make sure to zoom in to see just how deep and luscious the blues and aquas are, coming together in the center in a beautiful mesmerizing swirl.